Having been inspired by the many tasty and inventive vegetable dishes I ate on my recent cruise around Greece and Turkey, I was delighted when this book came through my letterbox. Lebanese Home Cooking’s subtitle is Simple, Delicious, Mostly Vegetarian Recipes and it’s packed with wonderful ways with lentils, beans, aubergines, chickpeas, potatoes, tomatoes, rice, bulgur wheat…I could go on and on. 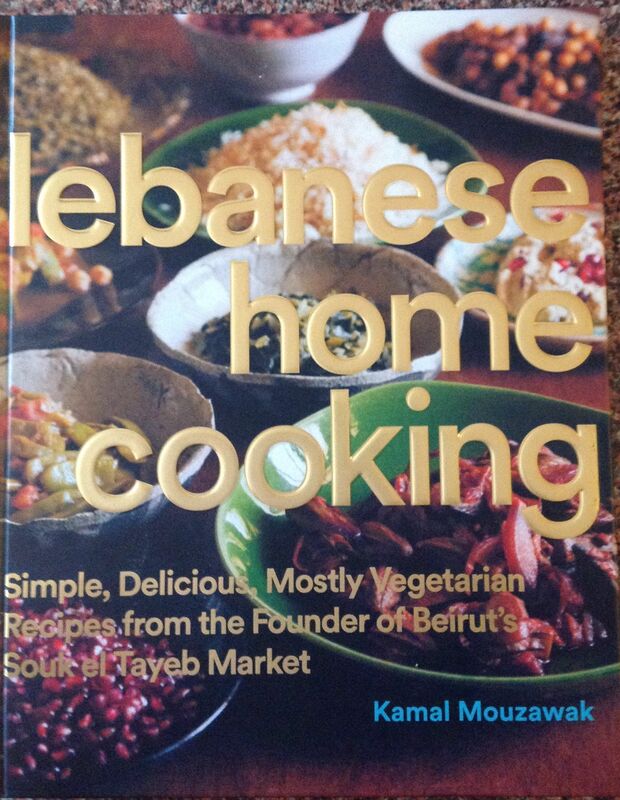 The book is written by Kamal Mouzawak who grew up in Lebanon and was the founder of Beirut’s Souk el Tayeb Market. So he knows what he’s talking about. Even paging through the book makes your mouth water. I love Lebanese flavours and spices, too, and there’s plenty of that going on. And although the dishes look and sound exotic, the recipes are simple and often don’t have many ingredients. I started with the spinach stew with pine nuts. Cooked with garlic and coriander (a staple of Lebanese cuisine), the spinach condenses down and absorbs all the flavours. 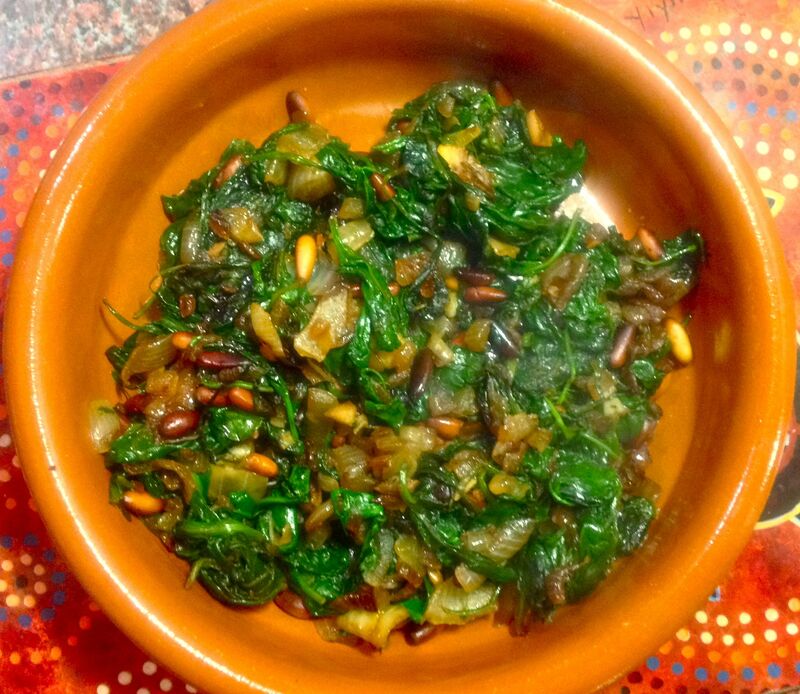 And spinach and pine nuts is simply a heavenly combination in my book. 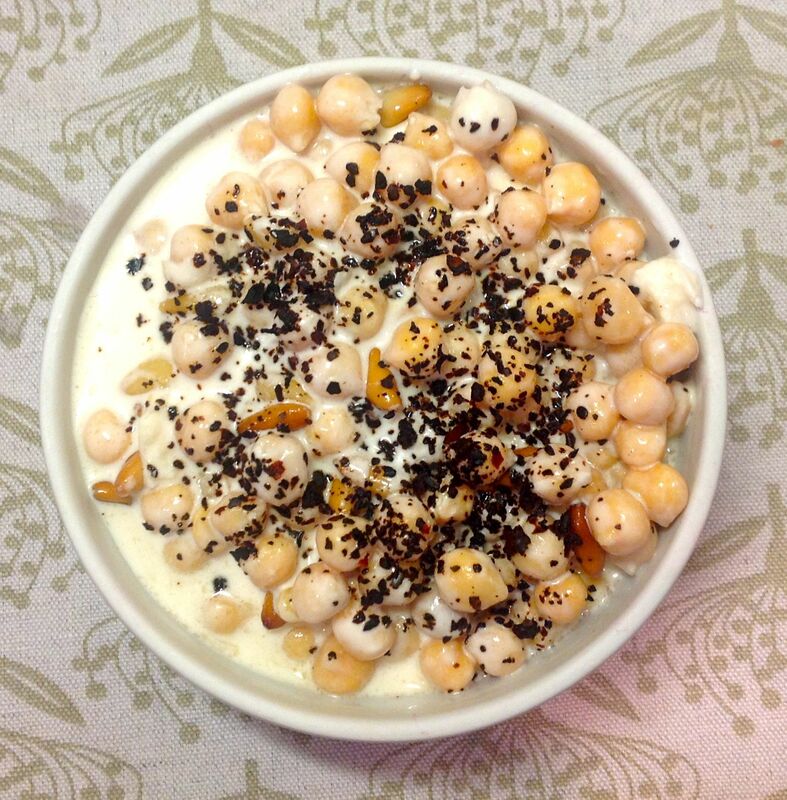 I also made the chickpeas with yogurt, incredibly easy, especially as I cheated slightly and used tinned chickpeas. 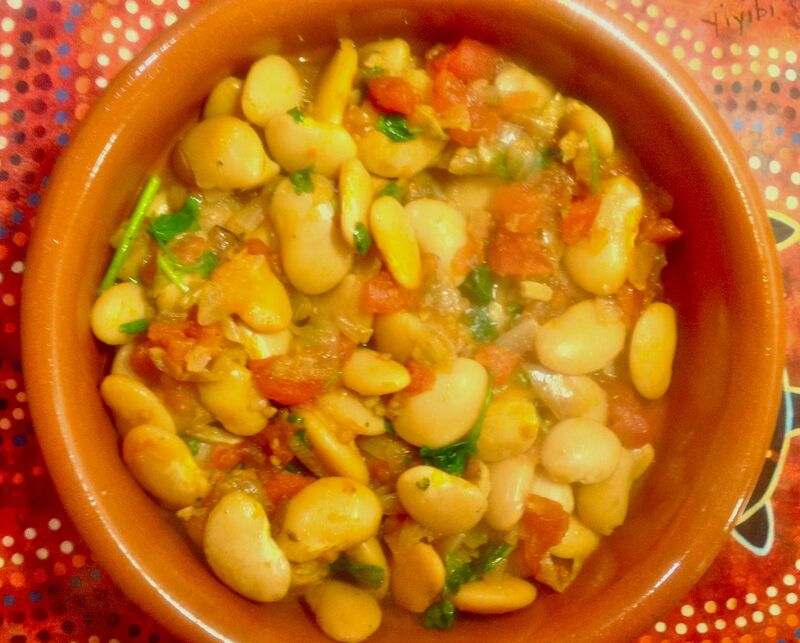 This white butter bean stew was wonderfully easy to make and the flavours of the creamy, buttery beans (my favourite in the bean family), garlic, onions, tomatoes and fresh coriander producing a fresh and tasty dish to savour. There are some great potato and rice recipes crying out to be tried – simple, genius ideas like mashed potatoes with spring onions and mint mixed through, beautiful bread and pie recipes and the sweets! I’ll be heading back in there soon. Lebanese Home Cooking is on sale from tomorrow the 5th of November at £15.99. Get in there quickly and I’m offering you a discount too. A special offer for readers of Eating Covent Garden. To order Lebanese Home Cooking at the discounted price of £12.99 including p&p* (RRP: £15.99), telephone 01903 828503 or email mailorders@lbsltd.co.uk and quote the offer code APG380.